Communities Secretary Hazel Blears has quit the cabinet, increasing pressure on UK Prime Minister Gordon Brown. Her departure is the second top-level resignation on the eve of the European and English local elections. It led to stormy Commons scenes as Mr Brown denied his government was in "meltdown" and rejected calls for an immediate general election. 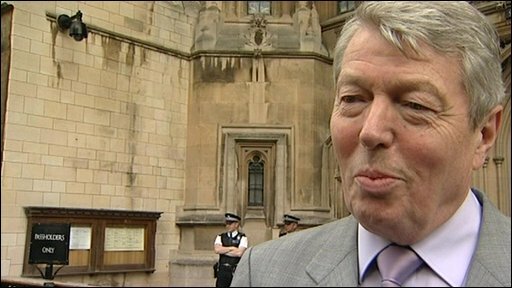 Health Secretary Alan Johnson has been forced to deny he is ready to take over amid reports of a backbench plot. Mr Johnson told the BBC: "He is doing the job and there is absolutely no one who could do that job better." He said Mr Brown's performance at prime minister's questions had shown he had the "courage and tenacity" to lead the country "under circumstances made difficult for him". Other cabinet ministers, including Hilary Benn, Andy Burnham and Lord Mandelson, have also rallied round the prime minister and attempted to calm speculation he will be forced to quit. Meanwhile the BBC has seen a proposed letter to Gordon Brown from one Labour MP calling on the PM to step down. It says Mr Brown has made "an enormous contribution" but adds: "We believe that in the current political situation you can best serve the Labour Party and the country by stepping down as party leader and prime minister". It has not yet been widely circulated but the BBC understands Mr Brown's critics intend to send out some kind of "round robin" letter or e-mail to MPs, possibly on Friday, to test whether there is an appetite for a challenge to Mr Brown. But Business Secretary Lord Mandelson urged Labour MPs: "British politics is in a bad old state, nobody is happy and it's affecting all the parties. "Don't please, through your actions, make it any worse for the Labour Party than for the other parties who have all got to come to grips with this crisis affecting British politics." Seventy Labour MPs would have to nominate a challenger to Gordon Brown to force a leadership contest. Attempts to gain enough support for someone to stand against Mr Brown for the Labour leadership have failed twice before - when he succeeded Tony Blair in 2007 and last summer. It comes amid continued speculation about Mr Brown's planned reshuffle. The BBC understands Mr Brown met John Reid on Tuesday, but the former home secretary is thought to have turned down the offer of a return to government, although No 10 sources say they talked mainly about football. And a friend of Chancellor Alistair Darling has told the BBC that he would not accept any other job. Downing Street has insisted a reshuffle is not under way and a source suggested there would be no announcements over the next 24 hours. Speaking earlier at Prime Minister's Questions, Mr Brown said recent weeks had put "enormous pressure" on MPs of all parties and their families because of the string of revelations about their expenses. He accused Tory leader David Cameron of seeking party political advantage from the situation. But Mr Cameron said the prime minister was "in denial" and the communities secretary resigning on the eve of local government elections was a "direct challenge to his authority". He said Mr Brown's team was now "deserting him", the government was "collapsing" and he urged the prime minister to "get down to the Palace, ask for a dissolution, call an election". Lib Dem leader Nick Clegg said: "It's a tragedy that exactly at the time when people need help, need action, the country doesn't have a government, it has a void. Labour is finished." Ms Blears has been under fire over her expenses claims despite repaying £13,000, following allegations she avoided paying capital gains tax on a property sale. She was tipped for the axe in the forthcoming reshuffle. The Salford MP denied doing anything wrong but Mr Brown described her claims as "totally unacceptable". She is said to believe she was being made a scapegoat by Mr Brown over the expenses issue and is believed to have vented her anger at him at a meeting in Downing Street on Tuesday. Allies of the prime minister have suggested she feared further revelations about her expenses but sources close to Ms Blears accused them of "a smear campaign". Lord Mandelson said she was planning to stand down after the elections but had decided to go early due to media pressure, adding that she would never do anything to damage the party. Home Secretary Jacqui Smith, who also faced expenses criticism and went public on Tuesday with her decision to stand down, said she backed Mr Brown and denied Ms Blears was deliberately trying to undermine him. In her resignation statement, Ms Blears said: "I've never sought high office for the sake of it, or for what I can gain, but for what I can achieve for the people I represent and serve." Downing Street said Mr Brown "respects and understands" Ms Blears' decision to quit the cabinet and believes she had made "an outstanding contribution to public life". The Salford MP is a former Labour Party chairman and was one of the most prominent Blairites in Gordon Brown's cabinet but she came last in the poll to be Labour deputy leader two years ago. Last month she launched what was seen as a thinly-veiled attack on Mr Brown in a newspaper article, criticising the government's "lamentable" failure to get its message across. In an apparent jibe at the PM's much-mocked appearance on You Tube, she said: "YouTube if you want to." 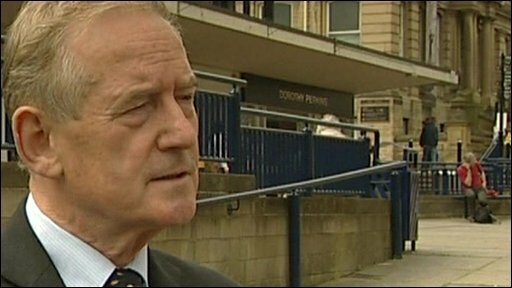 Senior Labour backbencher Barry Sheerman told the BBC Mr Brown's decision to announce plans to reform MPs expenses on YouTube - the day after he had been to a meeting of the Parliamentary Labour Party without mentioning his ideas - had provoked anger among Labour backbenchers. "There was a deep feeling of resentment that we had been snubbed and I think the present problems stem all from that evening," Mr Sheerman said.